A visitor to London, following the outer course of the City's Roman and Medieval walls in a westerly direction, passes from the Ward of Cripplegate Without into that of Aldersgate Without. This small ward straddles the modern Great North Road (A1) which, thanks to the Eighteenth Century Turnpike Trusts, replaced the older Ermine Street (A10), emerging from Bishopsgate, as the main route linking London to the cities of north-eastern England, and of Scotland. 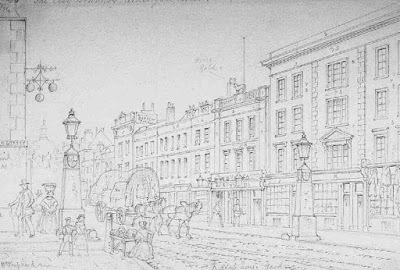 Aldersgate Street in 1857, by T.H. Shepherd (image is in the Public Domain). Within the ward, the Great North Road is Aldersgate Street, and it was here, in 1554, during the reign of the Catholic Queen Mary I, that Londoners were drawn in their thousands to hear a mysterious disembodied voice, surely that of an angel, inveighing against the Queen's proposed marriage to Philip II of Spain. The voice seemed to come from the wall of a particular building, but the truth about the so-called "bird in the wall" was revealed when officials started dismantling it, and discovered a serving maid, Elizabeth Crofts, bricked up within it. She was imprisoned at Newgate, but subsequently released, when it became clear that she was acting under the direction of others. By the late Seventeenth Century, the lanes leading off from Aldersgate Street had become a centre of the book-trade, "a plentiful and perpetual emporium of learned authors," according to the writer, Roger North, where "the shops were spacious, and the learned gladly resorted to them, where they seldom failed to meet with agreeable conversation." These streets were a focus, also, for religious non-conformism. Londoners had been overwhelmingly Parliamentarian during the English Civil War, and many had been won over by Presbyterian preachers to fight in Sir Philip Skippon's "London trained bands." Many had been disappointed, however, by the Puritan fundamentalism of the Commonwealth years; and, subsequently, by the collapse of their political and religious ideals as the monarchy was restored. New religious movements emerged from the chaos and carnage of the war, and one of these was Quakerism, popular not least because of its embrace of pacifism. 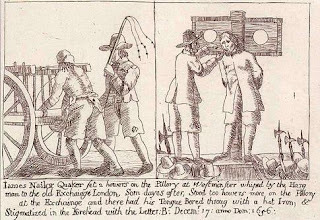 Quakers had been persecuted under Oliver Cromwell's Republic; and his son, Richard, arrested and imprisoned more than seven hundred of them before his regime dissolved. They were released under Charles II, and the founder of the movement, George Fox (1624-91), having traveled and preached extensively in the Low Countries, and in North America, spent the last years of his life in London. "Now was I come up as a spirit through the flaming sword into the Paradise of God," Fox wrote. "All things were new, and all the creation gave another smell unto me than before, beyond what words can utter." 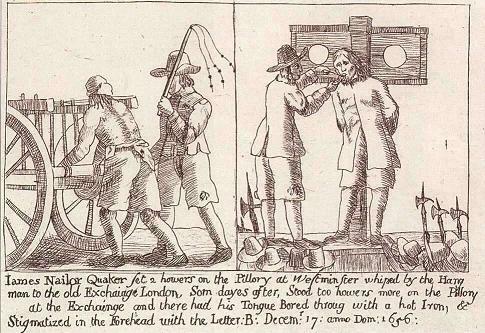 The Quaker, James Nailor, scourged and pilloried in London in 1656 (image is in the Public Domain). The house of a woman by the name of Sarah Sawyer, in Rose and Rainbow Court (now beneath the Barbican Estate), was in use as a Quaker meeting hall by 1655, and was subsequently used by Quaker women to provide meals for the poor. 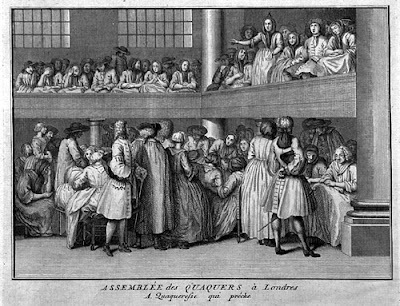 A woman preaching at a Quaker meeting in London, c1723, by Bernard Picard (image is in the Public Domain). It was unheard of, at the time, for women to preach in most other denominations. John and Charles Wesley, sons of a Lincolnshire rector, had been educated at nearby Charterhouse School, and had both followed their father into the Church. They had evangelised, somewhat unsuccessfully, in the United States, where John had also been disappointed in love; and, in 1738, they drifted back to London, depressed and forlorn. On their out-bound voyage, they had been impressed by the religious zeal of Moravian Christians, who, in a life-threatening storm, had calmly prayed and sung hymns, whilst the English passengers had panicked. 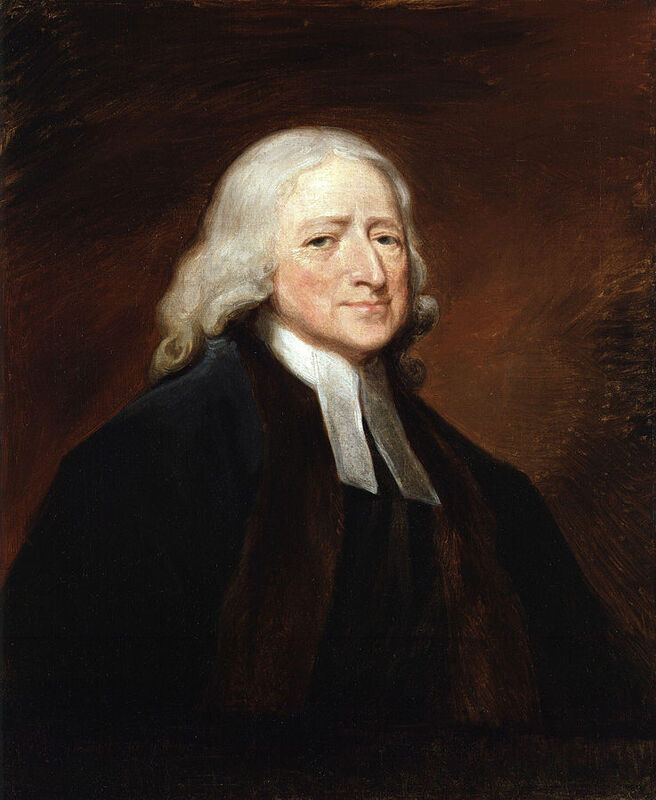 John Wesley, by George Romney, National Portrait Gallery (image is in the Public Domain). 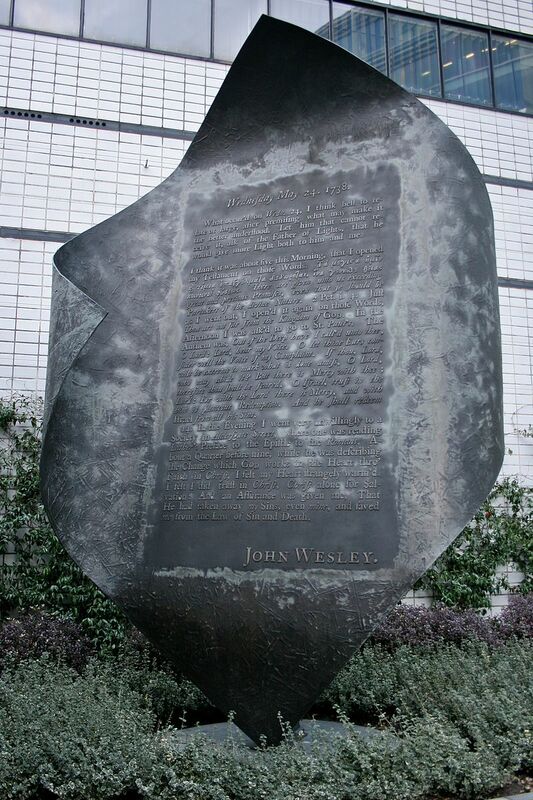 "In the evening I went very unwillingly to a society in Aldersgate Street, where one was reading Luther's Preface to the Epistle of the Romans. About a quarter before nine, while he was describing the change which God works in the heart through faith in Christ, I felt my heart strangely warmed. I felt I did trust in Christ, Christ alone for salvation, and an assurance was given me that he had taken away my sins, even mine, and saved me from the law of sin and death." The Aldersgate Flame, outside the Museum of London, commemorating John Wesley's conversion. Photo: Mike Peel (www.mikepeel.net) - licensed under CCA (CC-BY-SA-4.0). The Wesley brothers later broke with the Moravians and established their own Methodist Church nearby. Both John and Charles died as priests in full communication with the Church of England: Methodism only broke away from the established Church after their deaths. 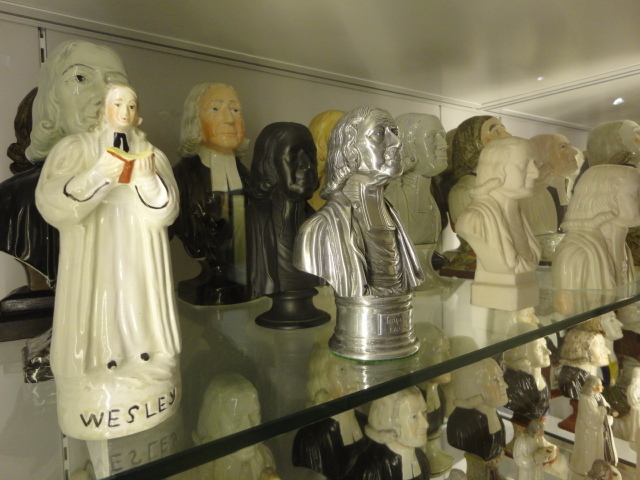 Ceramic commemorations of John Wesley, Museum of Methodism (London). Photo: AishaMethodism (licensed under CCA). By the time that the American writer, Washington Irving, visited Aldersgate in 1820, the area had fallen into decline, with houses " ... ready to tumble down, the fronts of which are magnificently enriched with old oak carvings of hideous faces; unknown birds, beasts and fishes; and fruits and flowers which it would perplex a naturalist to classify." Any such houses that had not already fallen down were destroyed during the Blitz, and most of the area now lies beneath the concrete of the Barbican Estate. Having explored the ward of Cripplegate Without, we now go back on ourselves to look at the ward of Bishopsgate Without, which I passed over last week, not wanting to explore it until I had the chance to see the exhibition on Bedlam that has just opened at London's Wellcome Collection. The line of Ermine Street, the Roman road that connected London to Lincoln, York, and, ultimately, Hadrian's Wall, runs north through the ward, out towards Stoke Newington and Tottenham, linking up with the modern Great North Road (A1) at Godmanchester (Roman Durovigutum). Ermine Street. image: Neddyseagoon (licensed under GNU). The Romans, quite sensibly (although perhaps by reason of superstition, as much as hygiene), did not permit the burial of the dead within cities, so the roads running in and out of major settlements were always lined with tombs and graves; those of the wealthiest families lying closest to the roads themselves. This was as true of London as it was of Rome. 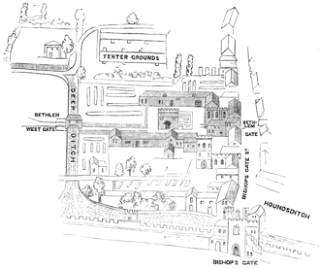 Plan of Roman London, showing the position of the northern cemetery. Image: Drallim (licensed under CCA). A tombstone from Roman London, Museum of London. Photo: Udimu (licensed under CCA). Tombs along the Appian Way. 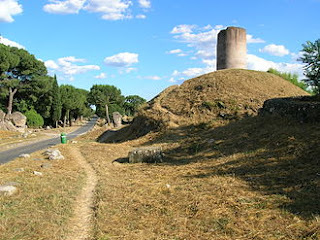 The large tower on the right is the Mausoleum of the Curiazi, dating to the First Century BC. Photo: Nicolo Musmeci (image is in the Public Domain).
" ... many earthen pots, called urnae, were found full of ashes, and burnt bones of men, to wit, the Romans that inhabited here ... Every of these pots had in the with the ashes of the dead one piece of copper money ... some of them were of Claudius, some of Vespasian, some of Nero, of Antoninus Pius, of Trajanus, and others. Besides those urns, many other pots were there found ... divers dishes and cups of a fine red-coloured earth, which showed outwardly such a shining smoothness as if they had been of coral: those had in the bottoms Roman letters printed ... "
This account is, I think, the first piece of specifically archaeological (as distinct from historical) writing about London, and is among the very earliest examples in the World. The first entry in the Oxford English Dictionary for the word "archaeology" dates to 1607, but Stow is here doing archaeology: on the basis of material evidence alone, he is describing the graves, the excavation of which he witnessed; dating them; and even describing the artefacts in such a way that we can, with some confidence, identify them (the shining red vessels must surely be "Samian ware" - mass-produced pottery found on almost all Roman sites, including many in London). Samian ware bowl found in London, but made in southern France, British Museum. Photo: AgTigress (licensed under CCA). The Priory of the New Order of Saint Mary of Bethlehem was established, close to the present location of Liverpool Street Station, in 1247. Its patron was the Bishop-elect of Bethlehem, Goffredo de Prefetti, but he almost certainly never visited. 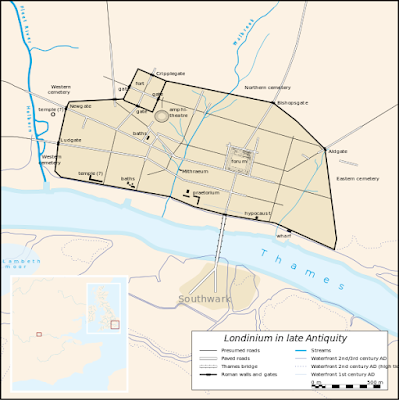 The land on which the priory stood was donated by a London alderman, Simon FitzMary, on his return from a pilgrimage to the Holy Land. The priory provided accommodation and food for the needy, but its real purpose was fundraising for the Crusades. This, however, was, with the benefit of hindsight, already a lost cause: Bethlehem was in Muslim hands; its bishop in exile in France; and the crusading impetus much diminished. The priory became a hospital and, in 1403, we have the first record of its being used to house men who were mente capti - of unsound mind. Medieval Bethlehem Priory, as reconstructed by Daniel Hack Tukes (1882). 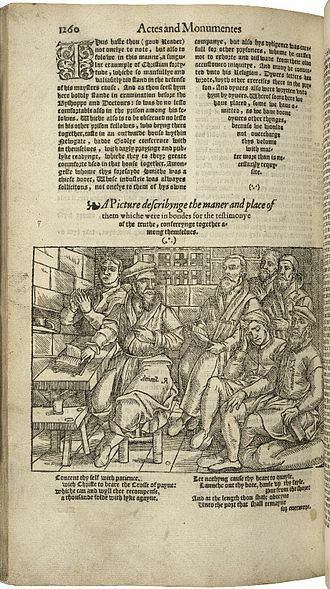 Image: Project Gutenberg (Public Domain). By the early Seventeenth Century, "Bedlam," as it had now become known, a secular rather than a religious institution, was clearly functioning as an asylum for those considered to be insane. 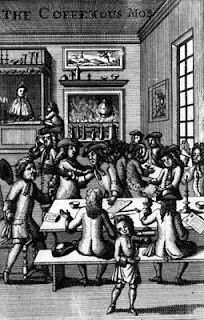 One keeper-physician, Helkiah Crooke, who clearly lived up to his name, was dismissed by Charles I in 1631 for embezzlement and misappropriation, his inmates apparently starving as he stuffed his own money-bags with the funds intended for their support. Already, by this time, the public were admitted to the institution, presumably for a fee, to be entertained by the antics of the "lunatickes." "We have but two sorts of people in the home, and both under the whip, that's fools and madmen; the one has not wit enough to be knaves, and the other not knavery enough to be fools." My trade, my living tis, I thrive by it. Of stature and proportion very comely ..."
As early as 1598, Bedlam had been condemned as overcrowded and unsanitary, its "common jacques" used casually by Londoners who had no sanitary facilities of their own. In 1675, a new hospital was built nearby, to a Baroque design by Robert Hooke: a fine building, but an institution that had little more to offer in terms of the treatment of mental illness. 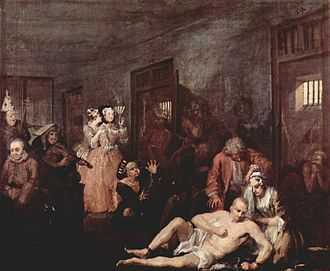 It continued to be open to the public, and William Hogarth's portrayal of it, in The Rake's Progress, is hardly more complimentary or optimistic than that in The Changeling. 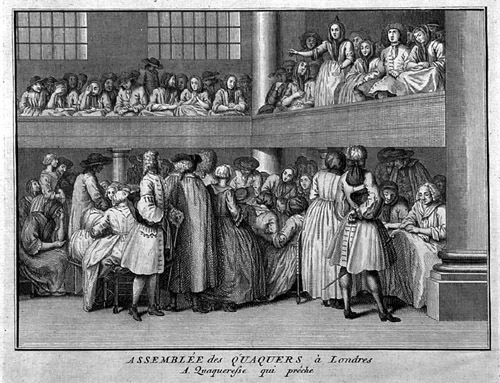 Hooke's New Bethlem Hospital, by Robert White, 1676 (image is in the Public Domain). Bedlam, from Hogarth's The Rake's Progress, Sir John Soane's Museum (image is in the Public Domain). 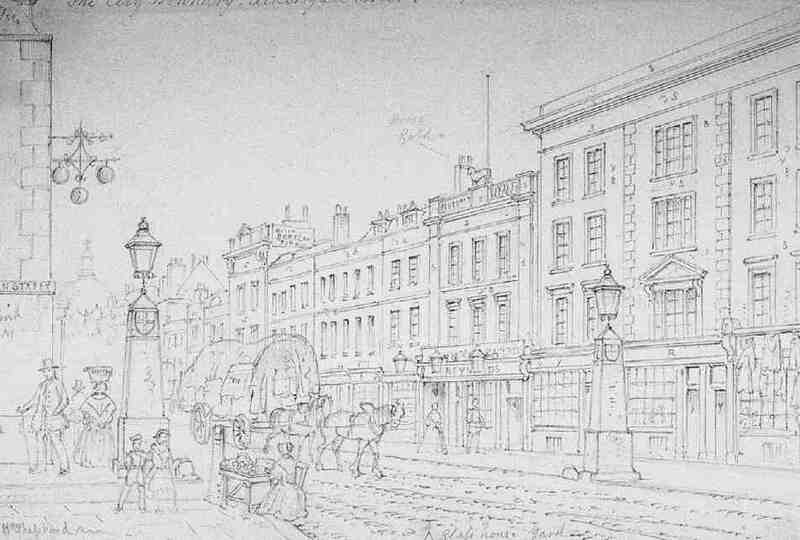 In 1810, the hospital was moved to a new site, south of the Thames (the building now occupied by the Imperial War Museum), and the land in Bishopsgate Without redeveloped with cheap and unsanitary housing for some of the thousands of new Londoners recently arrived from the countryside. Having completed our tour of London's intramural wards, we have also explored the extramural ward of Portsoken. Following the northward and westward course of the Roman and Medieval walls, we should pass next into Bishopsgate Ward Without but, for reasons that will become apparent in the coming weeks, I am passing over this ward for the moment. We also pass over Coleman Street Ward, which we have already visited, since it straddles the intramural/extramural divide. That brings us, then, to Cripplegate Ward Without. 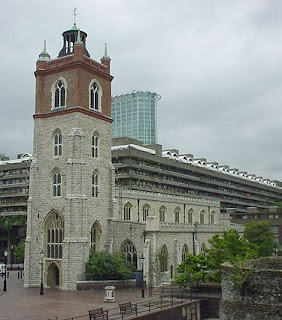 Like Cripplegate Ward Within, much of this ward now lies beneath the 1960s concrete of the Barbican Estate, but, squeezed in between the high-walks, remains one of the City's few surviving Medieval churches, spared by the Great Fire of 1666. Saint Giles Without Cripplegate. Photo: Lonpicman (licensed under GNU). Saint Giles Without Cripplegate was originally a Saxon church, extensively re-modeled in 1090, 1394, and 1682. Gutted during the Blitz, it rose, once again, from the ashes, and has a lively congregation to this day. The area in which it stands was used for archery practice throughout the Middle Ages. The introduction of firearms in the Sixteenth Century made archery increasingly redundant, and the open land on which Londoners had trained for the fields of Crecy and Agincourt was built over, developing into a neighbourhood of mainly poor quality housing, interspersed with brothels and skittle-alleys. It was another technological innovation that was set to transform the character of the area. With high production volumes, but low profit-margins, many printers established their homes and workshops in affordable Cripplegate. Poor but literate, these free-thinking men and their families were open to the radical ideas then spreading around the continent of Europe. The Curate of Saint Giles in 1570 was a man named John Field, classified by history as a "Puritan," but who almost certainly considered himself a Presbyterian. Much concerned with the "Popish abuses" of the established Church, he emphasised preaching over "ceremonial" liturgy, and argued for the replacement of the hierarchy of bishops by local elected synods. He was clearly a charismatic preacher, and many local printers and other artisans flocked to his pulpit. One of Field's successors at Saint Giles, Robert Crowley, was active as a printer as well as a preacher. During the reign of the Catholic Queen Mary I, he had spent time in exile in Hamburg, where he had come into contact with Calvinist beliefs, at odds with the Lutheran ideas that underpinned the established Church of England (he acknowledged Christ as the Saviour of Mankind, but rejected the doctrine of the Holy Trinity). As a printer, Crowley published the first English book of psalms with harmonised music; and the first translations of the Gospels into Welsh. His fellow exile, John Foxe, returned from Hamburg to write his Book of Martyrs, one of the most influential works of anti-Catholic propaganda. 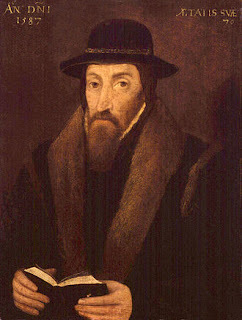 John Foxe in 1587, National Portrait Gallery (image is in the Public Domain). Foxe's Book of Martyrs, 1563. Image: Folger Shakespeare Library (licensed under CCA). In the years leading up to the outbreak of the English Civil War, the pulpit of Saint Giles became a spiritual hub of the Parliamentary and Presbyterian movements. 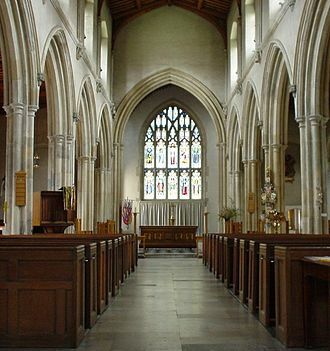 Oliver Cromwell was married in the church in 1620; John Milton was a parishioner, and was buried here in 1674; John Bunyan, another parishioner, may have written The Pilgrim's Progress in a home nearby. 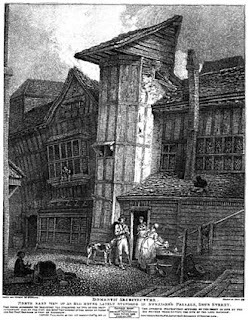 Sweedon's Passage, Grub Street, 1791, by John Thomas Smith (image is in the Public Domain). "A news-writer is a man without virtue who writes lies at home for his own profit. To these compositions is required neither genius nor knowledge, neither industry nor sprightliness, but contempt of shame and indifference to truth are absolutely necessary." The Coffeehous Mob, 1710 (Image is in the Public Domain), men gathering to discuss the news of the day. Journalists were never above suspicion (many were believed to have taken bribes from Prime Minister Robert Walpole, in return for "massaging" the facts), but from this crucible emerged a number of long-lived publications, including The Spectator and The Gentleman's Magazine. 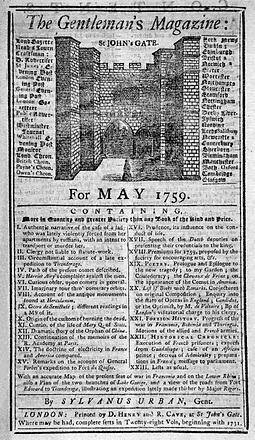 The Gentleman's Magazine, 1759. Image: Michael Maggs (licensed under CCA). 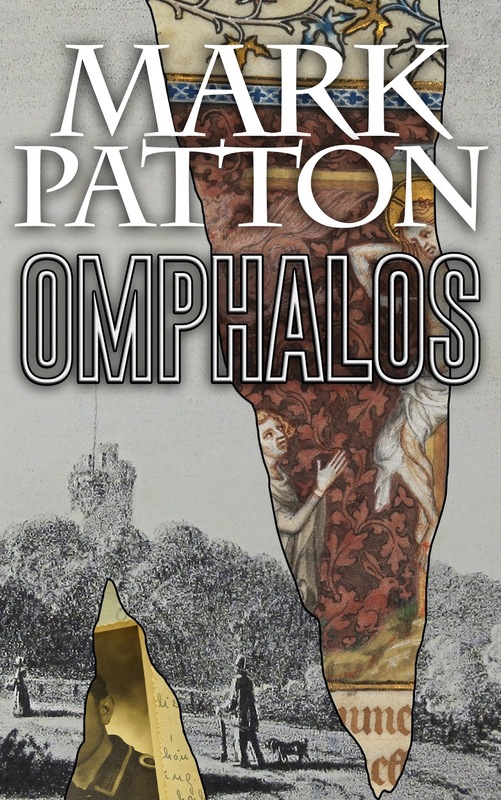 Mark Patton's novels, Undreamed Shores, An Accidental King, and Omphalos, are published by Crooked Cat Publications, and can be purchased from Amazon. He is currently working on The CheapsideTales, a London-based trilogy of historical novels. Historical Fiction: The Next Big Thing? I recently attended the conference of the Historical Novel Society in Oxford. In one of the plenary sessions, a panel of literary agents and publishers were invited to give their views on "the next big thing" in historical fiction. One agent is keen to receive proposals for "epics or sagas of the Second World War," believing that we are now "far enough away in time for a sweeping saga to be possible." 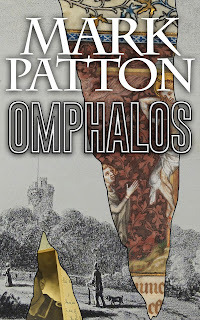 Another expressed interest in fiction set in ancient Greece. There was some consensus around the idea that more fiction reflecting the cultural, ethnic and sexual diversity of past societies would be welcome. The book stalls at the conference told their own story, although perhaps about the "next big thing" of yesterday, rather than today. What struck me most was the predominance of biopic novels, focusing on prominent individuals and narrated, either in the first person, or in "close third person," from the point of view of those individuals. 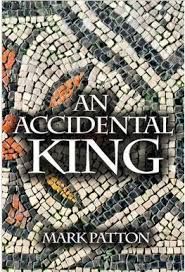 This trend is not entirely new, of course: one thinks of Robert Graves's Claudius novels, or of Marguerite Yourcenar's Memoirs of Hadrian, and Margaret George's (2011) Memoirs of Cleopatra is in similar vein, as, quite consciously, was my own (2013) novel An Accidental King (about the 1st Century AD British king, Cogidubnus). Bust of Cleopatra, Antikensammlung Berlin. Photo: Sailko (licensed under CCA). What surprised me more was the number of biopic novels featuring protagonists whose lives ended quite recently. This inevitably raises questions about the definition of "historical fiction" - the Historical Novel Society defines it as fiction " ... that has been written at least fifty years after the events described, or ... by someone who was not alive at the time (who therefore approaches them only by research)." 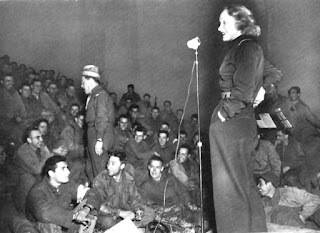 By these criteria, some of the Twentieth Century biopic novels showcased at the conference are only partly historical, although, interestingly, given the comment quoted at the beginning of this post, many of them deal with protagonists whose lives were profoundly touched by the Second World War. The fact that almost all of these protagonists have non-fiction biographies (and, in some cases, autobiographies) seems not to have deterred either the authors or their publishers. "The first time I fell in love, I was twelve years old. It happened at the Auguste-Viktoria-Schule in the suburban district of Schoneberg, southwest of Berlin. Here, in a squat building defended by wrought-iron gates, whose extravagant plaster facade concealed a warren of icy classrooms, I studied grammar, arithmetic, and history, followed by house-making skills and an hour of bracing calisthenics before ending the long day with a perfunctory French class ... I stood alone before the teacher's pensive gaze. The late afternoon sunlight filtering through the dusty classroom window burnished her unkempt chignon with copper. Her skin was rosy, with a slight down on her cheeks. My knees weakened ... " (C.W. Gortner, Marlene). Marlene Dietrich entertaining American troops in 1944, US Army Center of Military History (image is in the Public Domain). "The tree stirred and the sound of the needles was sshh, sshh, sshh. The boy swung a knee over the branch, heaved himself up, and shifted round so that his legs dangled. The scent of the larch cleared his head, so that everything seemed sharp and clear as glass. He could still hear the faint sound of piano practice, but he could see out across the fields from here; he could see for miles and miles, and the sky was wide open as a cat's yawn ... " (Jo Baker, A Country Road, A Tree). Samuel Beckett, by Reginald Gray (image is in the Public Domain). Other examples of this emergent sub-genre include Julian Barnes's The Noise of Time (about the composer, Dmitry Shostakovich [1906-1975]), and Jill Dawson's The Crime Writer (about Patricia Highsmith [1921-1985]). As the first generation of Millennials edge their way along the library bookshelves towards their initial encounters with adult fiction, the century into which I was born is emerging more fully into the domain of the craft that I have learned in the century in which we now live. 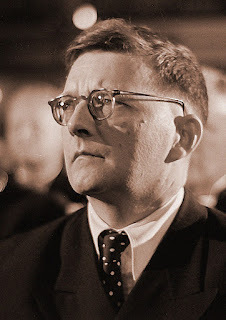 Dmitriy Shostakovich in 1950. Photo: Roger & Renate Rossing (image is in the Public Domain). It is easy to be wise with hindsight, but I wish now that we had spent some time at the conference considering the ethical issues that arise when we fictionalise the lives of real people, who may have close relatives, friends, and lovers, still living. The American author, Margaret George, was kind enough to invite me to share her taxi as we left the conference. "We have to hope that our characters will forgive us," she said the previous day, "because we are doing the best that we can." That must surely apply, not only to our protagonists, but to all real people, living or dead, to whom we ascribe words and actions in our novels.